Purchasing this item will earn you 119 reward points (Loyalty points $1.19) ! Hyperdrive 3.0+ is a synergistic blend of potent herbal derivatives specifically selected to yield the most potent daytime weight loss formula available. Any individual looking to lose VISERCAL fat (also called intra-abdominal fat: stomach and lower back area). Any person who can handle 300mg of caffeine (and other xanthines per capsule). Anyone looking for a quick release, intense energy supplement. Bodybuilders – during your initial cutting phase for competition prep, or to give you a boost during your gruelling training sessions. Endurance Athletes – looking for extra help with focus & energy to get through those long, intense training sessions (and lose some visceral fat as well!). Any individual looking to lose SUBCUTANEOUS fat (that’s the fat hiding your abs). Any person who wants a little less of a stimulant, and can handle 200mg of caffeine (and other xanthines per capsule). Anyone looking for delayed progressive time-released energy & focus – this is what we mean by “It Comes On As You Fade” – a GREAT afternoon ‘pick me up’. Bodybuilders – during your final cutting phase for competition prep – especially the last 4 weeks when eliminating as much Sub-Q fat as possible is of the utmost importance. Endurance Athletes – looking for a little less “stim”, but still wanting a powerful focus & energy supplement to get through training, and help to lose a few pounds of unwanted Sub-Q fat as well. Hyperdrive 3.0+ is a synergistic blend of potent herbal derivatives specifically selected to yield the most potent daytime weight loss formula available. These weight loss energy pills are specifically formulated for healthy adults seeking the an aggressive formula for weight loss. Hyderdrive 3.0 +, weight loss energy pills are not intended for minors or recreational dieters. Instead, Hyperdrive 3.0+ is designed for responsible adults seeking dramatic results from the most efficacious combination of ingredients. Combined with proper diet and exercise, this advanced formula is sure not to disappoint! HOW DOES HYPERDRIVE 3.0+ WORK? 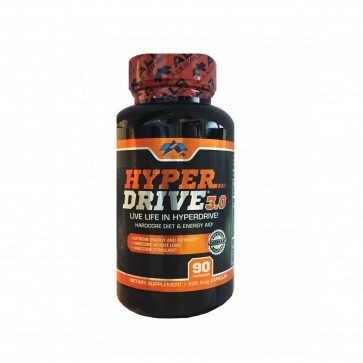 Hyperdrive® 3.0+ is a collection of today’s truly effective weight loss energy pills and nootropics! The correct synergy and ratios of the ingredients make HYPERDRIVE 3.0+ your obvious choice when it comes to intense, focused, undeniable energy. So, whether you are looking for a supplement that delivers the best workouts of your life or you are just looking for a great clean energy burst during the day, HYPERDRIVE 3.0+ is for you. 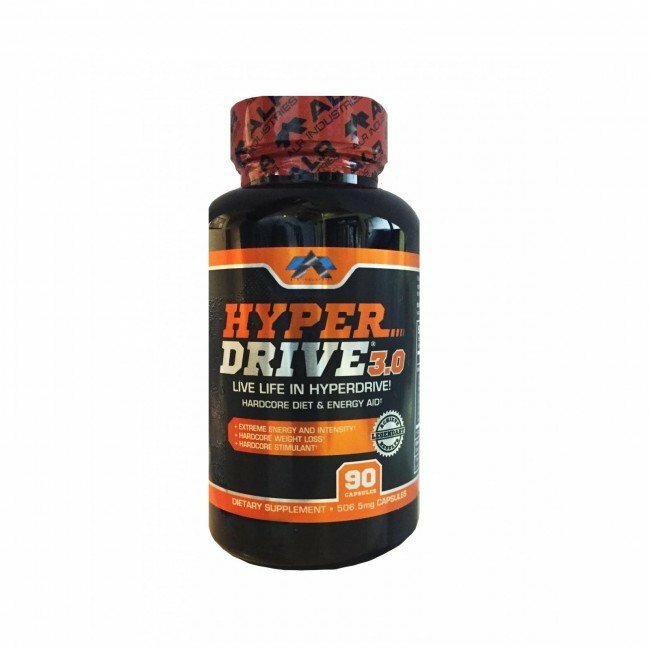 If you really want to make the most out of your workouts or find yourself needing a no-crash burst of mid-day energy, HYPERDRIVE 3.0+ is an absolute must have supplement! Formulated for quick release intense energy! Hyperdrive 3.0+…Shift Your Weight Loss into Hyperdrive! Other ingredients: gelatin, microcrystalline cellulose, modified cornstarch, magnesium stearate, silica.